On the heels of the blockbuster THROUGH THE MIRROR miniseries comes a brand-new NEXT GENERATION series, featuring untold tales of Captain Jean-Luc Picard and the crew of the U.S.S. Enterprise-D! 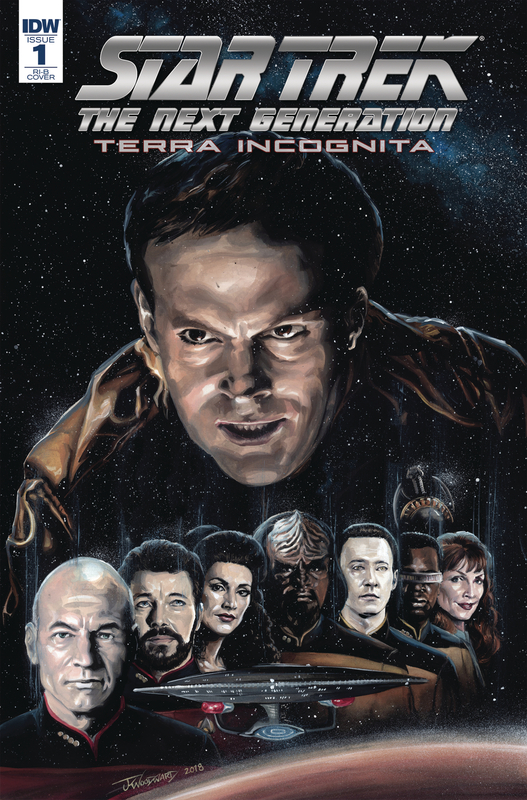 Following their clash with their villainous doubles from the Mirror Universe, the Enterprise crew returns to business as usual, little realizing the serpent in their midst-one of their own has been replaced! What does Mirror Barclay want, and what's to become of his Prime-universe counterpart?! From the creative forces behind Star Trek: The Next Generation: Mirror Broken and Star Trek Discovery: The Light of Kahless! Takes place during Star Trek: The Next Generation's critically acclaimed fourth season! Featuring covers by Mirror Broken co-creator and designer J.K. Woodward! The unexpected twist ending of Through the Mirror continues!